Whatever your position in your company, being involved with projects that run smoothly is crucial to a positive outcome. If tasks are organized in a haphazard way, then the flow is likely to be unproductive and slow. Having systems in place that can be utilised on multiple projects not only saves time, but clarifies expectations prior to every project. The good news is - there is an easy way to achieve this - by using checklists, templates and processes. 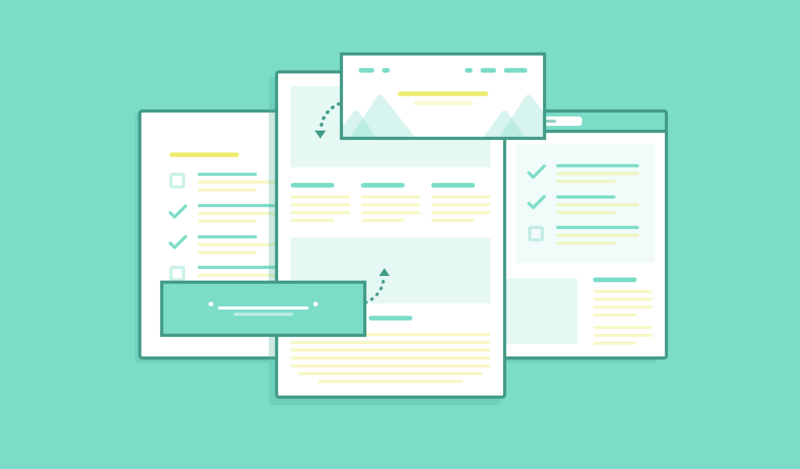 In this article, we will show you exactly how to use checklists, templates and processes, outlining the benefits of all three. You’ll also learn how to combine them together to devise a system that will help your whole team collaborate more efficiently. The end result? A more productive workforce, who not only understand the project layout better, but communicate with ease. A checklist is exactly what it says – it is a list of items to be checked off for successful completion of any task. It can be defined as a list of tasks that should be completed in a certain order, to ensure nothing is forgotten. They can be used for any task, in any industry. Checklists are used extensively in the healthcare industry, and there is a lot of evidence that they not only improve team-work and communication, but save lives too. In fact, a research study in 2008 demonstrates deaths were cut by 47%, just by using checklists in the operating rooms. Translate this into other forms of business, and the results are the same. Each item will have an order of priority plus a deadline, and as it is met, you simply check it off. The next time you promote on social media, you follow the same checklist, just change the deadline and the URL. If you are away, or someone else takes on the role (after you get promoted following your great work! ), the checklist is still in place. Productivity – as you tick, you get more done! Excellence – when nothing is forgotten, quality of work is the end result. Any time you are involved in a repetitive task, use a checklist. It saves time and effort - after all, why reinvent the wheel? Checklists can be used for any task, small or large. They can be used for something as simple as packing to go on vacation, or for a more complicated task, such as a technical system requirement. Try to keep your checklists as simple as possible, while ensuring you cover all the necessary aspects. Stick to one page if possible, with an easy-to-read font. Steer away from writing on the back of envelopes (they get lost), but consider an online format that you can easily access, and preferably share with other team members if necessary. You can use something like Evernote or Box notes to create simple checklists and share them easily. Alternatively, you can create checklists in your favorite task management software, by creating a subtask for each item. A template is a sample document that has standard details already completed in a pre-formatted way. This document can then be readily adapted to fit different needs. This can be done by hand or with automated software. It enables you to maintain the same branding and layout of all your documentation across all your tasks and projects. For example, you may need to send a standard letter to different companies or people; with a template all you need to do is change the details of who the letter is going to. Or perhaps you need to fill in risk assessments for different events; with a template it is much easier to change the detail according to the event, rather than start from scratch. What a template offers is consistency. Templates offer a method of maintaining the same look across all your correspondence, helping to build the business brand. Not only do they save time, but they allow any member of the team to step into a role and be able to produce the same quality documentation. Easy to search and index by search engines. When one or more people find themselves re-creating the same document multiple times, a template should be created and used. It is easy to work with templates when the company has prepared and stored them in advance online, allowing all the team to have access when required, with ‘fillable’ options. It is fairly simple to create templates using standard word-processing software, then store them in task management programs. For more complicated templates, graphic design software could be used to similar effect. Most office software programs, such as Microsoft or Open Office, offer a range of templates; some are available with the software program, and there is also an option to search for more online. If you use Google Docs, you can also tap into their ready-made templates. The same applies if you are developing websites or using Wordpress; there are plenty of themes and templates that you can adapt to your own needs, saving time and investment. A process is a list of all the tasks that need to be done to complete a project. It is often defined as a series of linked tasks which lead to the end result of accomplishing an organization goal. To work well, it usually relies on a systematic flow of checklists and templates, all of which tie in together to create the finished project. Sticking with our example above, promoting social media may have just been one task within a process. Imagine the overall project is promoting a new product and increasing sales; if the company has a set process in place every time a product is launched, the efficiency of the project is increased. The aim of a process is to provide a structure to the project. If you have wondered why customer service representatives sound so rehearsed, it’s probably because they have a process to follow. It’s like navigating a map or flow-chart, that takes you in a certain direction (which is hopefully a successful business completion). Your company should use business processes any time they want to utilise a system that makes “an organization’s workflow more effective, more efficient and more capable of adapting to an ever-changing environment”. It is also an effective way of linking different departments if there is a cross-over within the project. There’s evidence that suggest using workflows in nursing has a big effect on work patterns, communication methods and roles. Studies have also been completed in other areas, concentrating on how integrating IT services into a central process, thus improving communications, can have a profound effect on productivity. To put these practices into place, your company should be looking to devise an organised system that will help grow the business through increased efficiency. The good news is that your processes, checklists, and templates can be followed for all future similar projects. So the work you put in originally will still be reaping rewards in many years to come, saving time and increasing productivity. Use processes and workflows any time you have repeat projects that only require small changes. Once your process is in place, it will only require minor changes to make it adaptable to similar projects. Checklists, templates and processes can easily be incorporated into workflows, giving a step-by-step guidance on how to complete the tasks and project. They also need to be accessible for everyone involved in the project, plus duplicable for any future projects for ease-of-use. The most efficient way to achieve this is by using a centralised system that all stakeholders can use. Implementing a task management system allows your team to collaborate on projects using checklists, templates, processes and more. When you have devised and saved all your documentation, it can then be accessed and implemented on multiple projects and tasks. With everything for a particular project in one place, it’s easy to organise, monitor, communicate and store all the relevant information. Evidence shows that planning projects in advance has major effects on productivity; including saving time and increasing overall performance. Although using checklists, templates and processes have many advantages, do be aware that occasionally they can backfire if not handled well. For example, if the job entails creativity and spontaneity they may not be the best tool to use, as they rely on prior planning. They can also make a job too repetitive if over-used, leading to monotony. This could lead to decreased motivation with a knock-on effect on confidence levels. However, the positive aspects outweigh any risks; just ensure the systems match the project. Hopefully we’ve shown you how having an organised system in place, that includes checklists, templates and processes, will increase the efficiency of how your business operates. Not only are the benefits enormous, but with the online tools available to you, they are also easy to install. By adapting them to suit your needs, checklists, templates and processes will save you time, money and frustration, allowing the whole team to work smarter.